Lake Oswego, Oregon c1908 859. Historical Photographs Printed by Alex Blendl. 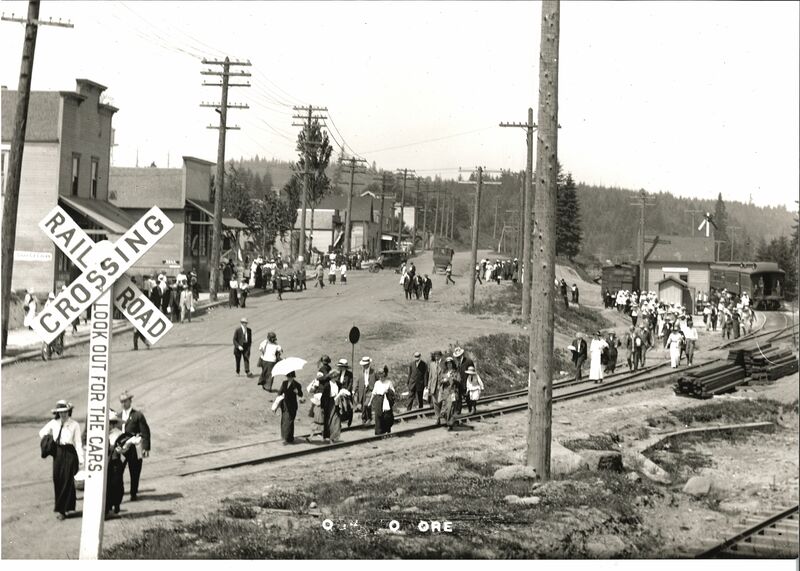 Description Photograph of State Street looking north from the railroad crossing near what is now the Willamette Shore Trolley depot. Transcription Lake Oswego, Oregon c1908 859. Historical Photographs Printed by Alex Blendl.